Footprint® is a sustainable investment policy, developed by igloo, maintained and assessed independently by URBED, and overseen by a Sustainable Investment Committee chaired by Jonathan Porritt. Footprint® brings together in a holistic way the four themes of health, happiness and wellbeing, regeneration, environmental sustainability and urban design. Most importantly, footprint® places a strong emphasis on the need to respond to the opportunities created by the site and its context. This includes engagement with stakeholders and encouraging developers and project teams to think more strategically, enabling the added value of the policy to be realised. Each scheme is assessed against a range of quantitative and qualitative criteria which seek to benchmark against market, good, best and exemplar practice both in the UK and internationally. Stage 1 - Screening: This is undertaken early on to decide whether a scheme should be pursued further. Stage 2 - Design: This is a detailed assessment of the design of the scheme before it is submitted for planning and updated afterwards. Stage 3 - Construction: This takes place towards the end of the construction process and assesses the scheme ‘as built,’ also collating feedback from the project team. Stage 4 - Occupancy: This is undertaken around 1-2 years post completion to determine the actual performance of the scheme against the SI policies. This includes a review of energy use, regeneration outputs and occupier feedback. URBED work closely with igloo to ensure that the standards within the policy remain relevant and stretching. URBED also conduct an annual audit which assesses the implementation of footprint® across projects, igloo team members and boards. Buxton Building Contractors have started construction at the site of former garages on the Kipling Gardens Estate in Bermondsey. Designed by Bell Phillips Architects alongside residents, they will be building 27 affordable apartments and maisonettes. As construction progresses we will be working on a further assessment of the project against the footprint sustainable investment policy, as well as producing home user guides. An update on Buxton's website shows a tower crane being moved into position. 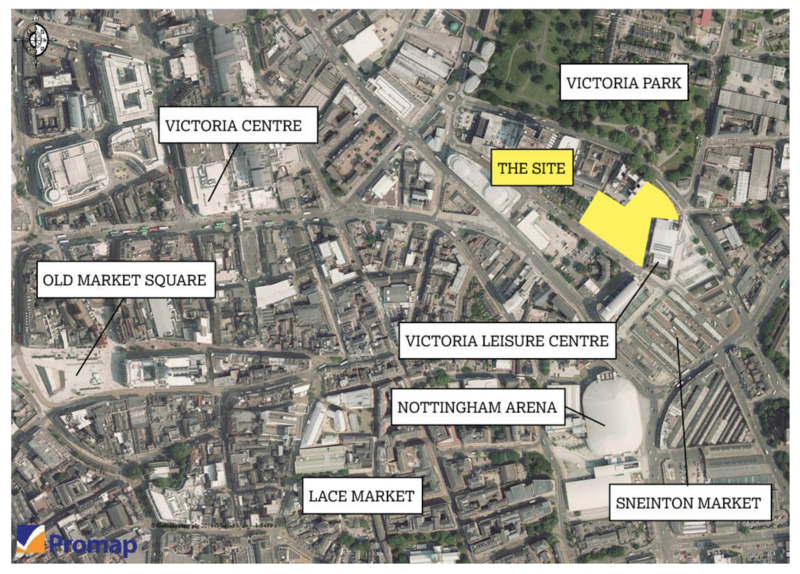 Our latest stage 2 assessment is on Blueprint's Fruit Market development in Nottingham, a group custom-build scheme for three phases of residential units on a vacant site adjacent to the Victoria Leisure Centre and the revitalised Sneinton Market. The group custom-build model will see home buyers engaged in a collaborative effort to design and build their new homes. This will give buyers input into the design of shared spaces and the customisation of their own home. The first phase of housing at URBED's Trent Basin masterplan is taking shape. As a Blueprint development, this site is also being monitored against footprint. 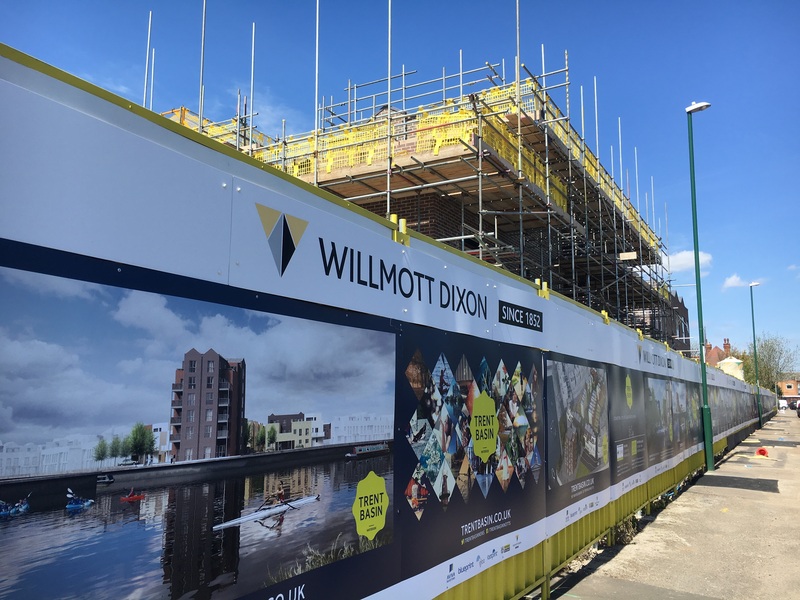 With the first homes due to complete this summer, we visited site and met with the contractor (Wilmott Dixon) to begin the construction stage assessment of the scheme. The footprint policy can be downloaded from the link on the right. Following submission in September, the Somerleyton Road project (being managed by igloo and using footprint® principles) has secured planning. The scheme, being brought forward by Lambeth Council along with Brixton Green and the Ovalhouse theatre, will deliver 303 homes across 4 buildings, including 65 extra care homes in a dedicated block, a theatre (for Ovalhouse), community facilities (including flexible spaces, a nursery and children's centre), retail facilities, training and workspace opportunities (potentially including a chef's school), creative/cultural office spaces, public realm and will provide a new home for the existing street gym. Carlton Mansions, a locally listed building with a famous Nuclear Dawn mural, is to be refurbished as part of the theatre development. This site has a number of constraints, most notably the railway line which runs down the entire length of the scheme, but it has responded to these positively and the proposals promise to be an exciting, quality addition to Brixton. After finalising our latest assessment, we look forward to completing some post-occupancy evaluation of the scheme next year. With a long history of involvement at Holbeck Urban Village in Leeds, igloo have recently secured planning permission for a residential led scheme to the front of the Round Foundry Media Centre, just off David Street. The proposed development includes: 57 apartments (a mix of 1 and 2 bedrooms), 15 townhouses (a mix of 2 and 3 bedrooms) and two commercial spaces for A1, A2 and B1 use. The architects are Leeds based Nick Brown Architects. Although there are currently some apartments elsewhere on the estate, these will provide some much needed units for sale in this area. This is an attractive location for city centre living, being in close proximity to the city centre and the vibrant business and leisure community of Holbeck Urban Village. Following on from a footprint® workshop with the design team in February this year, we are currently finalising the stage 2 assessment. Blueprint have just completed on all of the new homes at Green Street in the Meadows, Nottingham. Green Street 2 adds a further 21 homes, that connect through to the first phase. These were also designed by Nottingham architect Marsh Grochowski and built by Loughborough based William Davis. As at Hobart & Pitcairn, the homes are designed to AECB Silver Standard and householders received home user guides produced by URBED. 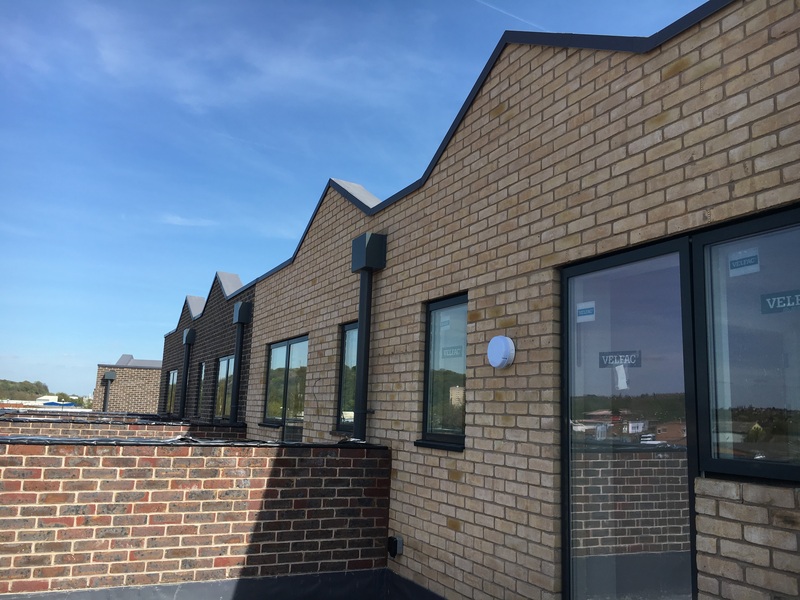 All of the homes were for market sale, including several that have been custom-built (where the buyer has customised the base design, changing layouts and specifications). The scheme won 'Best Custom build Project' at the 2015 Build-It Awards. The pictures below are from our recent visit to site in preparation for the stage 3 footprint® assessment. 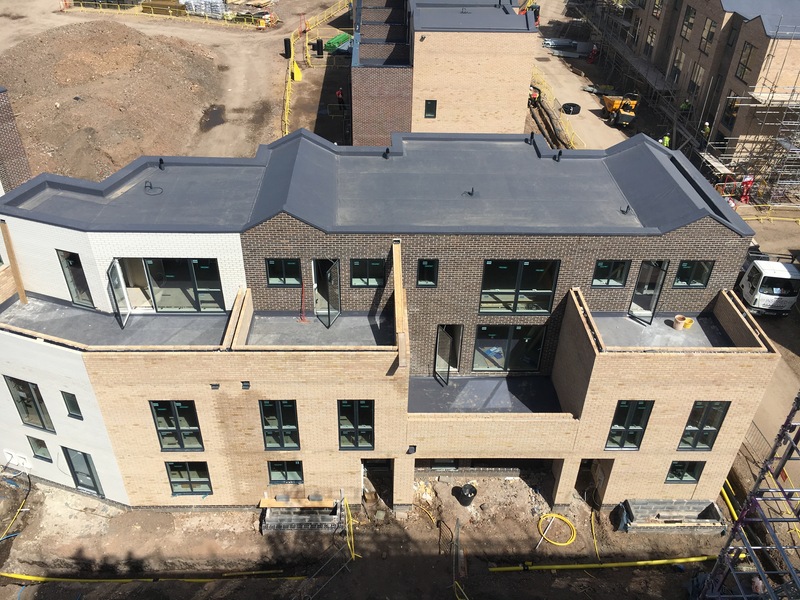 We were recently shown around the 400 Caledonian Road site in Islington by the contractor SISK - a visit that will feed into our stage 3 footprint® assessment. 400 Caledonian Road is an interesting site adjacent to Caledonian Road overground station, with the railway line directly to the north separated by a public footpath. To the south there is a line of 4 storey Georgian terraces. The site previously contained dilapidated workshops and stables. Planning permission was granted prior to igloo buying the site, however a section 73 application was made proposing improvements to the scheme. It includes 25 homes (21 new-build apartments, 2 converted apartments and 2 semi-detached houses), as well as three commercial units (one of which will be in the old stables). During handover, householders will receive home user guides (produced by URBED) to help them understand the features of their home. Update: 400 Caledonian Road recently secured the Gold Award in the Sustainable Development category of the What House? Awards 2015. Blueprint have been undertaking the first completions at Hobart & Pitcairn in the Meadows, Nottingham. An URBED masterplan, the site includes 73 new homes (2, 3 and 4 bedrooms) within an existing neighbourhood including a number for affordable rent and shared ownership. The homes are designed by Nottingham architect Marsh Grochowski who also designed the first and second phases of housing at nearby Green Street. The homes have been designed to the AECB Silver Standard, a performance standard focused on 'fabric first' in order to reduce energy demand. During handover, householders will receive bespoke home user guides (produced by URBED) to help them understand the features of their home. The Guardian: Resident-led Southwark social housing scheme shows London the way. igloo have been acting as development managers for the Leathermarket Community Benefit Society who are looking to bring forward a new residential led development on the site of existing garages on the Kipling Estate adjacent to Weston Street, SE1 (Bermondsey, London). 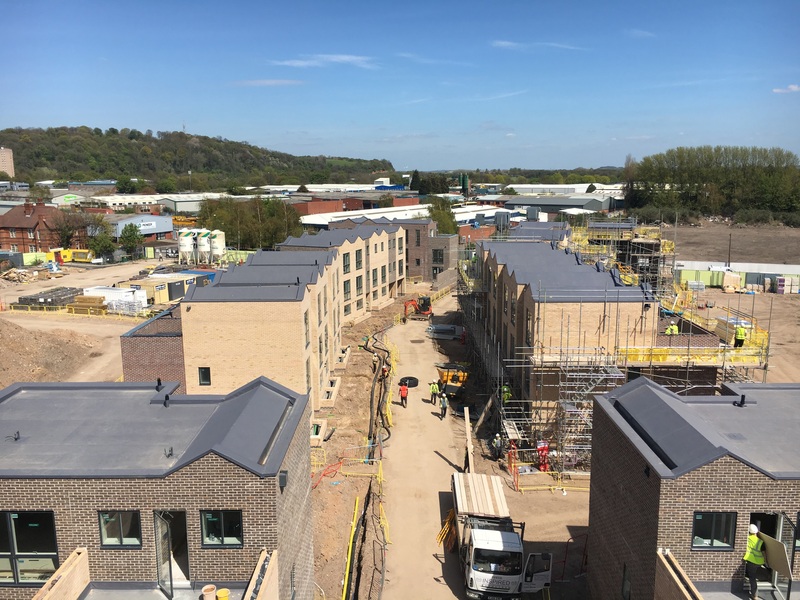 The development of the site offers the opportunity to provide much needed genuinely affordable homes in the local area, designed specifically by and for the local community. The proposals cover 27 apartments and maisonettes, include 3 wheelchair accessible flats, communal gardens and a communal terrace. Although not an igloo Regeneration Fund project, the team have been using footprint principles to guide the designs and management plans. The development has featured in a piece in the Guardian, noting that "the involvement of tenants in a forthcoming council rent level housing development near the Shard could be a beacon for the rest of the capital." You can find a link to the article on the right. The architect for the scheme is locally based Bell Phillips Architects. igloo are acting as development managers for the Somerleyton Road project (a scheme being brought forward by Lambeth Council, Ovalhouse theatre and Brixton Green), which although not an igloo Regeneration Fund project, is using footprint® principles to guide the design. In April we held a footprint® workshop at no.6 Somerleyton Road with the design team, including masterplanner and architect Metropolitan Workshop and block architects Zac Monroe, Foster Wilson, Mae and Haworth Tomkins. Splitting into four groups, each covering one of the footprint® themes of health, happiness & wellbeing, regeneration, environmental sustainability and urban design, the workshop was an opportunity to review the emerging designs, identifying opportunities for improvement and actions for the design and future management team.